If either spouse has lived in Vermont for at least six months, you can file for divorce there, and at least one spouse must live in Vermont for a full year before the divorce can actually be finalized. Note: Temporary absence from Vermont due to vacation, illness, employment, military service, or other legitimate reasons does not affect the accrual of this time. If you and your spouse have lived apart for six months in a row and your marriage is beyond repair, you have met the requirements for no-fault divorce in Vermont. Note: The six-month separation requirement must be met before the divorce can be finalized. In other words, you can file for divorce now even if you haven't lived apart for six months yet. All divorces in Vermont are filed at the Superior Court Clerk's office in the county where either spouse lives. The spouse who files divorce papers is the Plaintiff and the other spouse automatically becomes the Defendant. Unlike most states, the Court is responsible for serving a copy of the divorce papers on the Defendant. Then, the Defendant signs an Acceptance of Service, which does not need to be notarized. Once you and your spouse have lived apart for six months, the judge can sign your Decree. Vermont does have a "nisi period," which is an additional 90-day waiting period after the judge signs the Decree before the divorce becomes absolute. 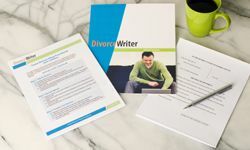 However, there's a checkbox on your DivorceWriter Final Stipulation form that you can mark to waive (skip) the extra 90-day waiting period as long as both spouses agree to it. You have qualified to use DivorceWriter to complete your Vermont divorce papers online. Select "Continue" to start the interview.